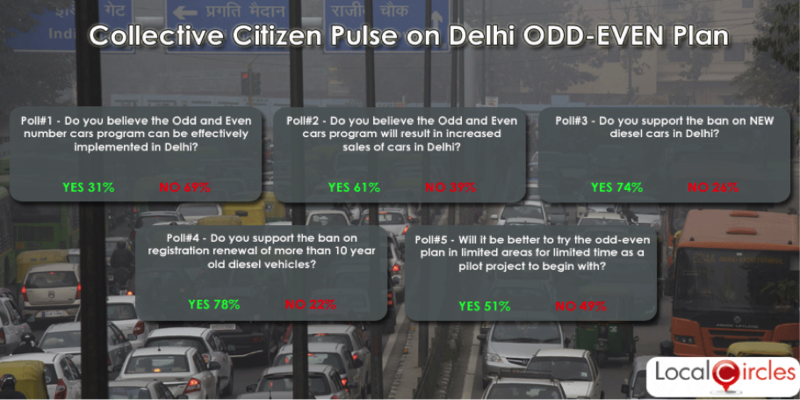 Collective Citizen Pulse on Proposed Odd-Even Vehicle Rule in Delhi. 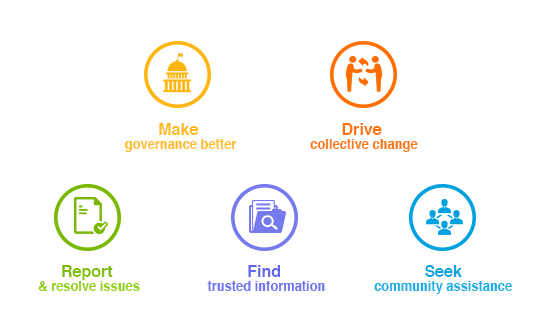 New Delhi, India, December 19, 2015 – LocalCircles (www.localcircles.com), India’s leading citizen engagement platform today announced results of the survey and citizen discussion focused on reducing Delhi’s pollution and the implementation of the odd-even rule. 1. All diesel commercial vehicles older than 10 years must be banned in Delhi. Plying of such vehicles from outside the state has to be managed by Delhi Traffic Police by setting up proper checkpoints into entry into Delhi. This has to be done wisely to avoid congestions. 2. Delhi Government should work with the Haryana Government to complete the under construction Kundli-Manesar-Palwal by pass on a priority basis. Most of the civil work on this by pass has been completed and it will divert a bulk of traffic whose final destination is not Delhi. 3. Delhi government should work actively with UP government for completing Kundli -Ghaziabad –Palwal high the work on which has not even started fully. This is an important by pass and if it is not completed then the Supreme Court’s decision on commercial vehicle diversion can also not be implemented fully. 4. A practical suggestion is that petrol pumps should be instructed to check the PUC certificate before giving petrol/diesel. This used to be the norm but is not followed by petrol pumps. 5. Delhi Police should impound vehicles having dangerous level of pollution. 9. Construction sites should be ordered to cover themselves from all sides and heavy penalty should be imposed if not covered. 12. Bursting of Crackers/fireworks in private functions should be banned. 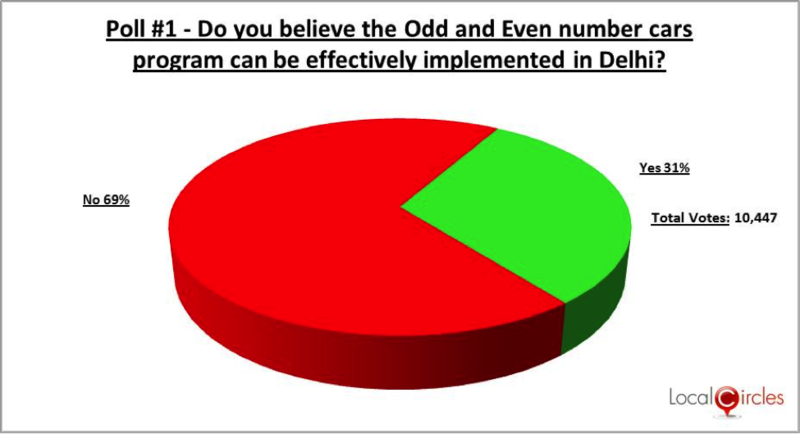 Poll#1 - Do you believe the Odd and Even number cars program can be effectively implemented in Delhi? 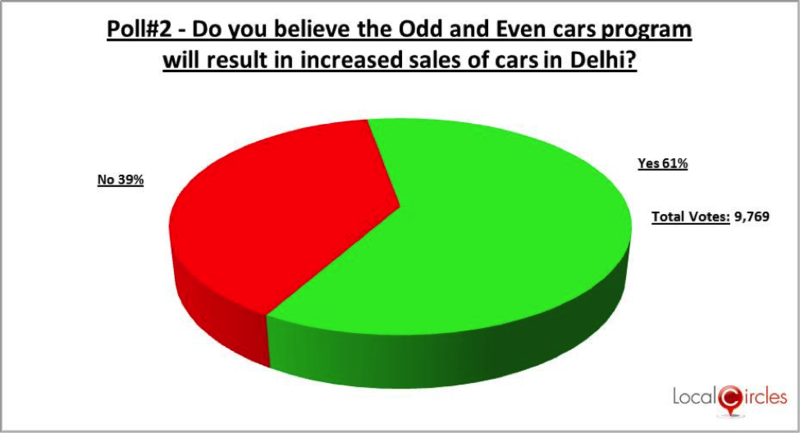 Poll#2 - Do you believe the Odd and Even cars program will result in increased sales of cars in Delhi? 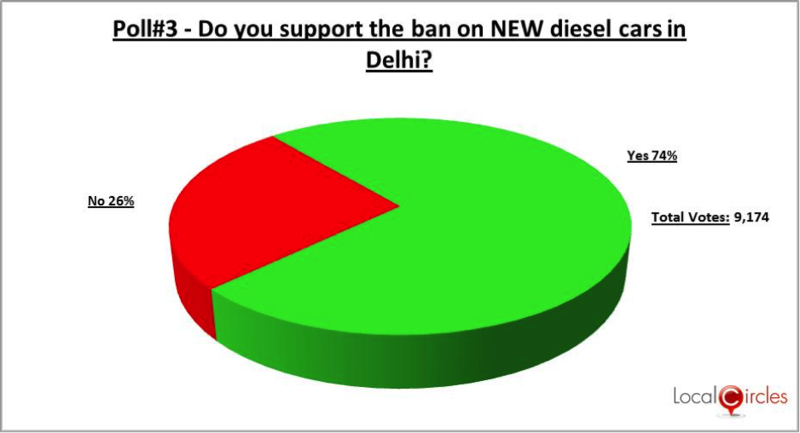 Poll#3 - Do you support the ban on NEW diesel cars in Delhi? 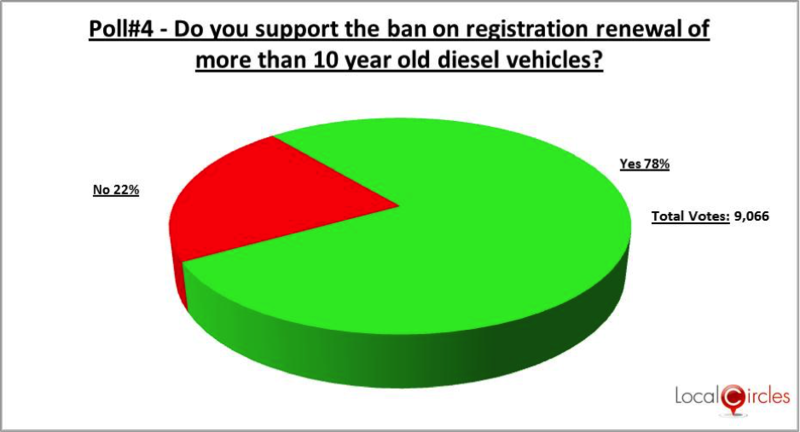 Poll#4 - Do you support the ban on registration renewal of more than 10 year old diesel vehicles? 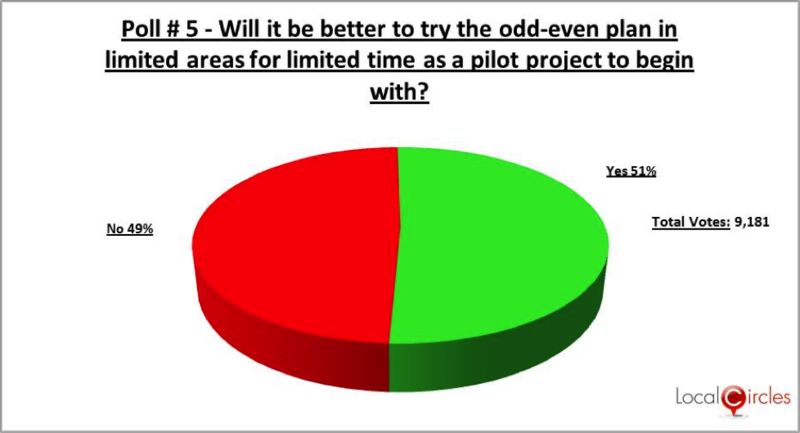 Poll#5 - Will it be better to try the odd-even plan in limited areas for limited time as a pilot project to begin with?